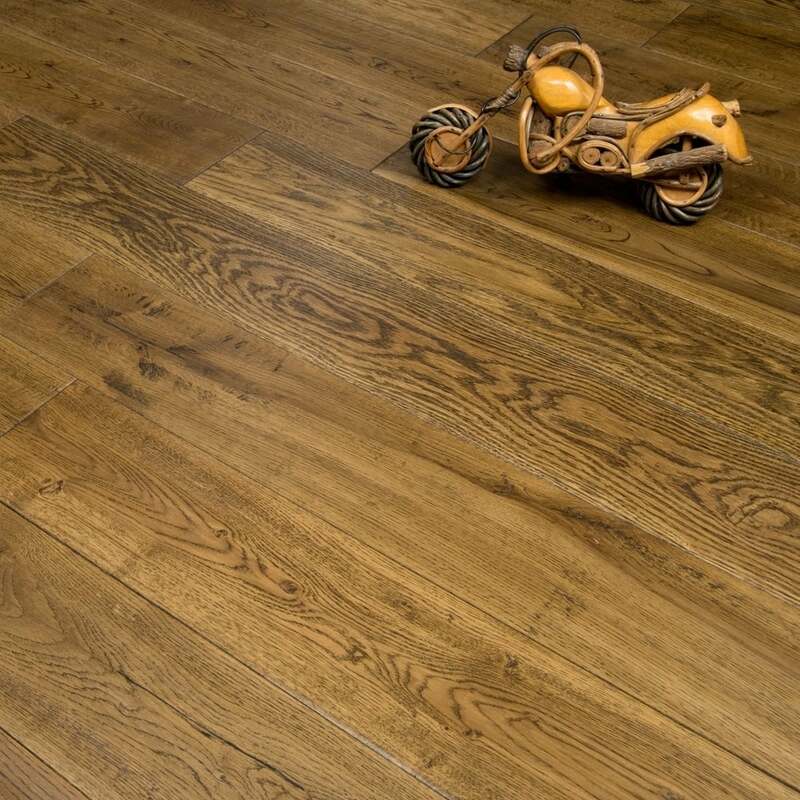 Our Timeless Engineered Brandy Oak floor is in high demand, not surprisingly! With a 5mm Oak Veneer on top of a 13mm 3Ply core, this board is durable, hard wearing and absolutely stunning. The Hand scraped Lacquered finish is a big bonus for those with kids or animals, as any moisture spillages will not have the same effect as on an oiled board - the water/juice will sit on top of the floor, as opposed to seeping into the boards themselves. The Lacquer also gives the floor a luxurious appearance, making it look even more impressive. After sanding, each floor is prefinished with 5 coats of aluminium oxide which has the dual benefit of offering protection to the surface, while also enhancing the visual appearance of the floor.